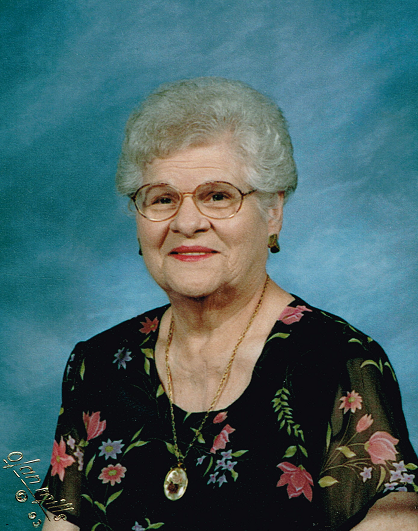 Joyce Evelyn Fail, 95, of Lyons, passed away March 31, 2019 at Hospital District #1 of Rice County, Lyons. She was born March 15, 1924 in Kanopolis, Kansas, the daughter of Clarence Edwin and Ellen Gertrude Sneath Bradford. She graduated from Lyons High School with the class of 1944. Joyce has been a lifelong Lyons resident. In 1944, Joyce became the first women to work in a salt plant in Kansas, having worked for Carey and American Salt as a laborer; cashier for Dillons; sales clerk for Mode O’Day Dress Shop; telephone operator in Texas; and was also a homemaker. Joyce was a member of the First Christian Church, Lyons, where she also served as a deacon; member of Christian Women’s Fellowship General; Love Group; a 50 year member of the Crystal Rebekah Lodge #172; Campfire Girls Leader; Happy Partners Sunday School Class member; and was a member of the quilting group at the First Christian Church. Joyce loved cooking, watching MeTv, spending time with her favorite companion Rusty, but most of all she loved her family. In July 1942, Joyce was united in marriage with Don Holtby in Lyons. They later divorced. On June 3, 1956, Joyce was united in marriage with C. James “Jim” Fail in Lyons. He preceded her in death on July 21, 1983. She is also preceded in death by her parents; two sons, Joe H. and Jack E. Holtby; sister, Vera Zody; and granddaughter, Amy Holtby Bishop. She is survived by her two daughters, Janice D. Clayton-Mazur and husband Dale of Lyons, and Joanna E. Cassidy and husband Galen of Wichita, KS; eleven grandchildren; thirty-six great-grandchildren; ten great-great-grandchildren, and two on the way. Funeral service will be 10:00 A.M., Wednesday, April 3, 2019 at First Christian Church, Lyons, with Pastor Thom Scott officiating. Visitation will be from 2:00 until 7:00 P.M., Tuesday, April 2, 2019 at Birzer Funeral Home, Lyons, with family present from 5:00 until 7:00 P.M. Memorials may be given to First Christian Church, Lyons or Hospice of Reno County in care of Birzer Funeral Home, Lyons.